The impulse to distill food writing into neatly packaged lists is somewhat natural. We only want the best, the most, the strangest, the biggest. We want things ranked and bulletted, ordered under vague superlatives. Like the amuse bouche courses, natural wines, and novelty cocktails we strive to describe, we want our information to be digestible, too. Here we give you just that: a segmented look at 2018’s bravest, newest, most skilled culinary acts. We’re serving our favorites in bite-sized pieces: the fresh-ground masa in Greenpoint, the skewered, blackened chicken on offer in NoMad. Of course, there’s more to every spot’s story. Opening a restaurant in New York is neither a neat nor simple enterprise. Each opening has spectacular narrative of its own. So, with the fat cut off, here are our favorite New York restaurant openings of 2018. Each of these venues, however recently its laid its roots, has a history. You’ll taste it in the food. New York’s pseudo-notable chef corps is in constant flux, but Missy Robbins is a perennial boldface name. Lilia’s 2016 opening quickly landed the accolade-accruing Italian kitchen veteran among the ranks of the city’s culinary elite. Her latest venture, the eponymous Misi, is another force to be reckoned with. 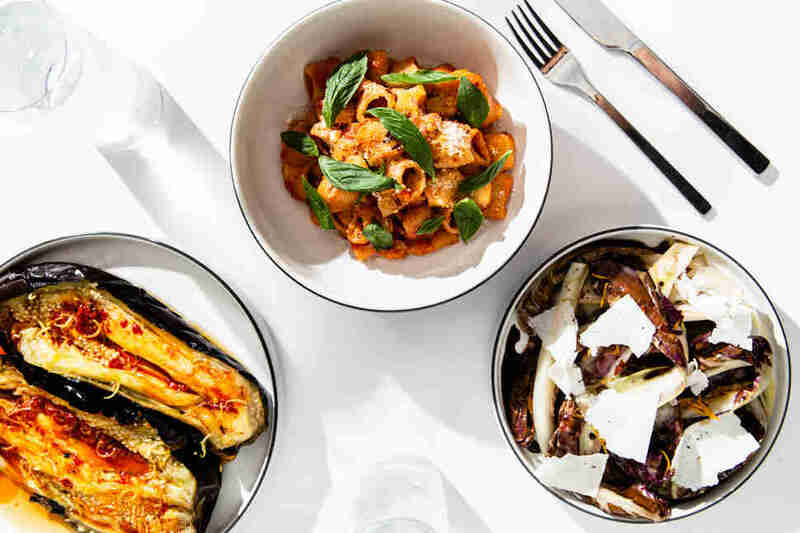 Ten handmade pasta dishes are made to pair with ten seasonal antipasti plates, and options like radicchio with melted bone marrow, onion, balsamic, and ricotta may even outshine Robbins’ storied fettucini. 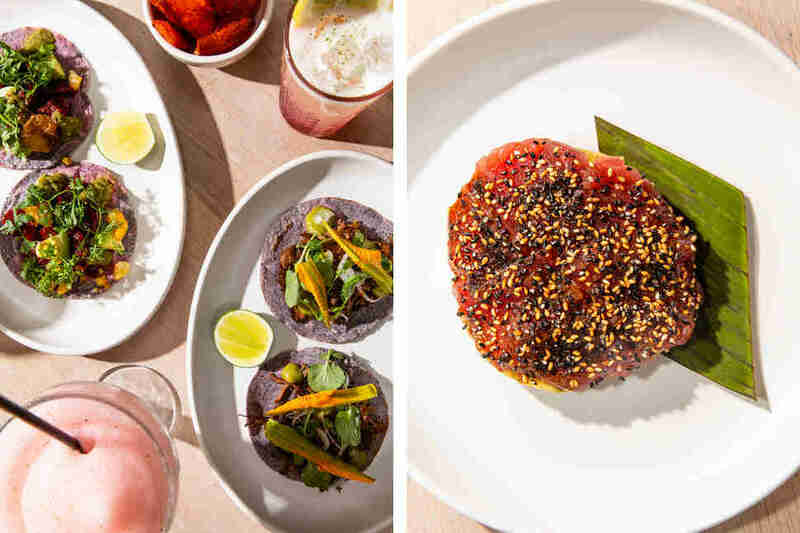 With two Speedy Romeo locations under his belt, chef Justin Bazdarich shifts his focus to a different section of the globe for his new venture, Oxomoco -- an authentic, wood-fired Oaxacan joint. Fried cauliflower arrives in a pool of black mole and butternut squash crema, corn tortillas are hand-made to order, and roasted chicken comes drizzled in local honey and fresh cilantro -- all of which are best paired with libations from the bar’s broad tequila and mezcal menu. The menu at Nonono reads like a yakitori bible. 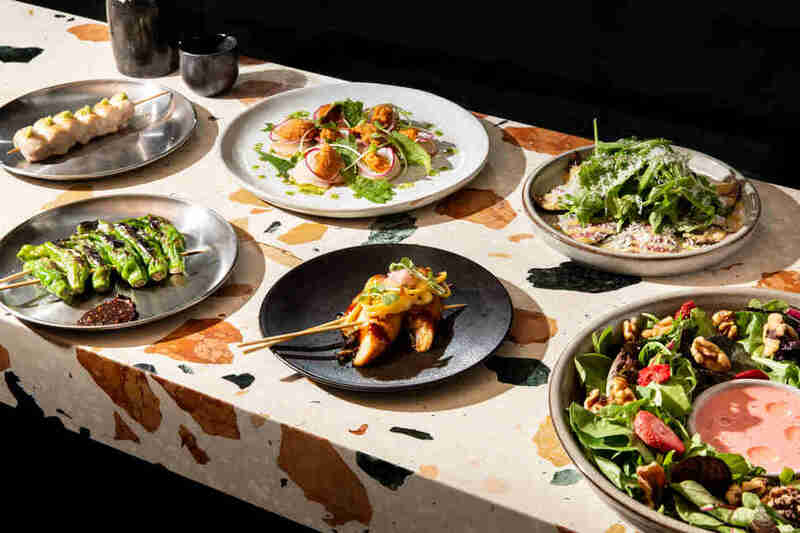 The kitchen from the team behind Her Name is Han turns out a near endless array of Japanese skewers stacked with chicken breast, yam, shiso and plum, and okra with dashi jelly and and bonito flakes. Guests select skewers in whatever quantity feels right -- most of which hover around $5 -- and the luxe, savory lollipops arrive piecemeal. It’s both a blessing and a curse for panicked orderers. This is not your beloved, ulcer-inducing, greasy Chinese takeout spot. The second project from the husband-wife duo behind Faro, General Deb’s is the pair’s first foray into provincial Chinese cuisine. 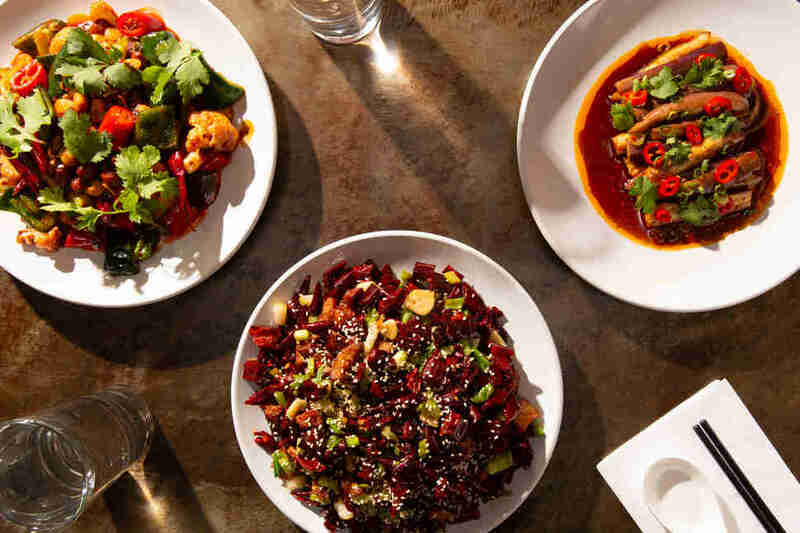 The menu skews toward Sichuan classics: dense, soupy noodle dishes studded with hearty meats and vegetables (get the dan dan mian with noodles swirled in sesame sauce and studded with pork), and the interior is chic enough for a date. Forrest Fooding is the Major Food Group of Japan, and its introduction to American soil is a downtown kitchen boasting a menu that harks back to the Japanese Hida region. Kaikagetsu’s tasting menu ($220) comes highly recommended, but the plebian à la carte options will still impress. The space designed to mimic a traditional Hida home, with blackened wood, and rows of imported ceramics. The food is an equally authentic melange of fresh seafood, marinated meats, and inventive Eastern flavor. This understated but beautifully appointed brasserie from Keith McNally empire alumni Riad Nasr and Lee Hanson splits the difference between special occasion spot and (somewhat expensive) warm, inviting neighborhood staple. The food -- grilled blowfish tails, archetypal pate, and duck frites) is executed elegantly enough to merit its prices, and the hospitality makes the place feels like home. 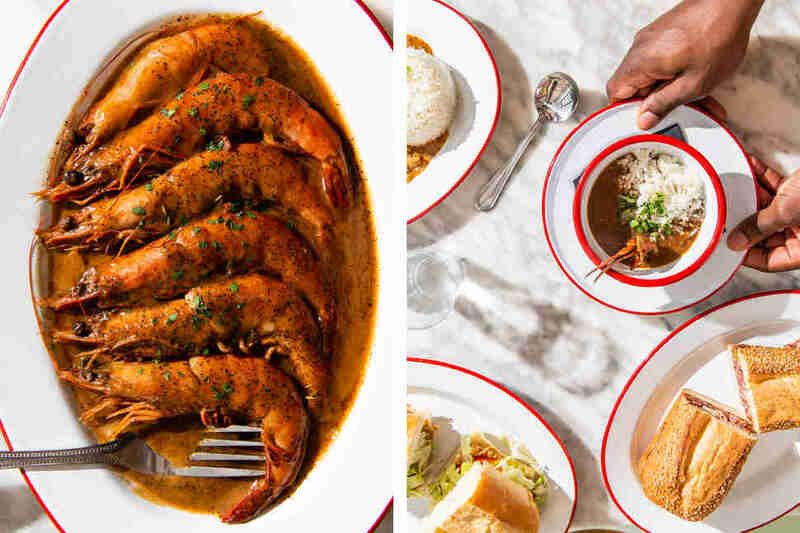 Housed in a narrow storefront along Washington Avenue, Lowerline is a mellow New Orleans kitchen, slinging po-boys, crawfish tails smothered in a Cajun gravy, and seafood-okra gumbo to a local crowd. With only a few tables and a long mahogany bar, the place is near always full, though rarely hectic. Una Pizza has a reputation. Now in in its second iteration -- the OG East Village location shuttered nine years ago when its owner dared make the unforgivable move to the West Coast. But, of course, he came back. They all come back. 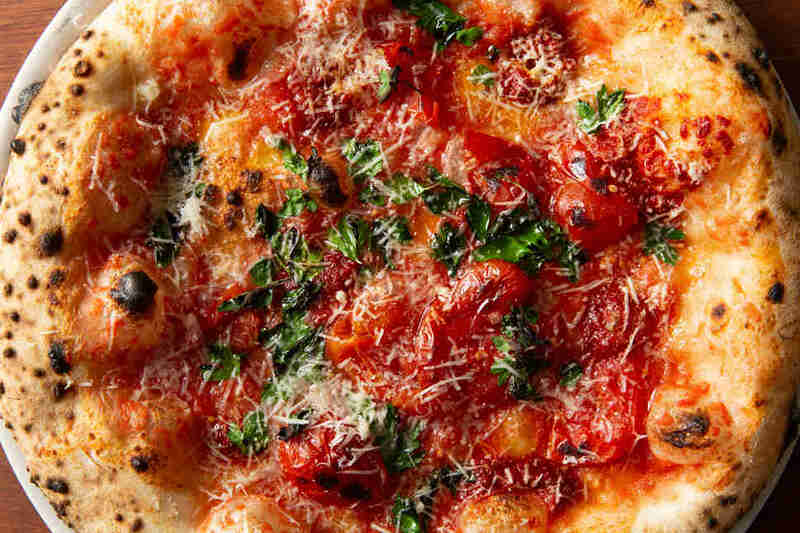 And his new joint offers a roster of unique cold small plates (burrata with tomatoes in lobster oil, carne cruda, scallop crudo), to complement the delightfully simple signature pies, each made from naturally leavened dough in a wood-fired brick oven. 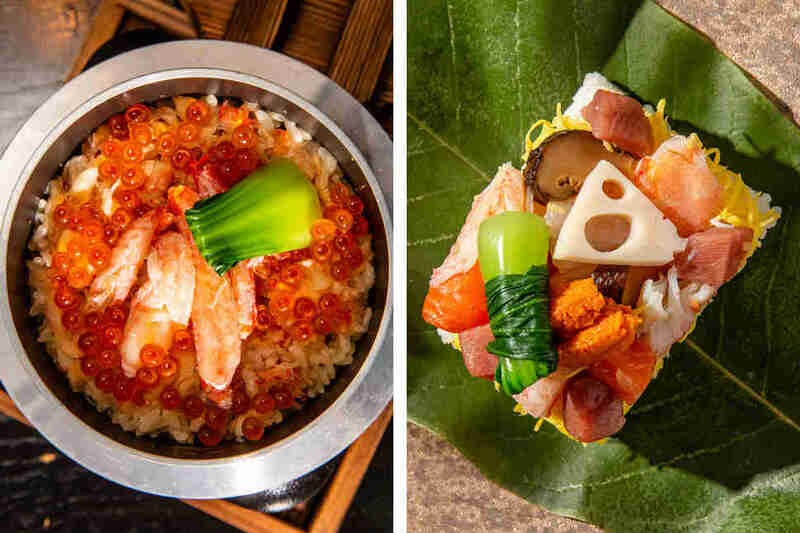 Unlike its downtown-cool sister spot Atoboy, this new Korean spot has all the markings of an elite, upscale venue. Delicately-plated ten-course meals are served twice nightly in a space resembling a stylish, cinematic villain’s lair. 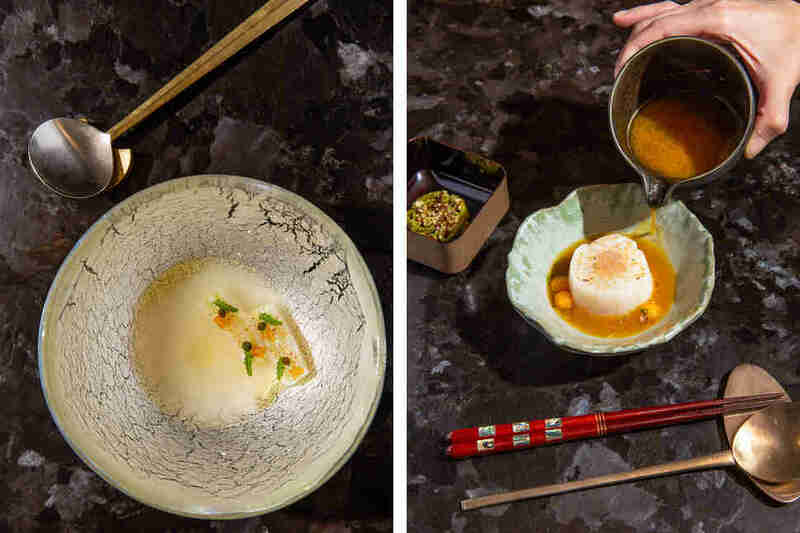 Cards detailing each dish, and perfectly calibrated chopsticks precede dishes like sea bream with uni, and eggplant with smoked eel and fermented soybean paste. 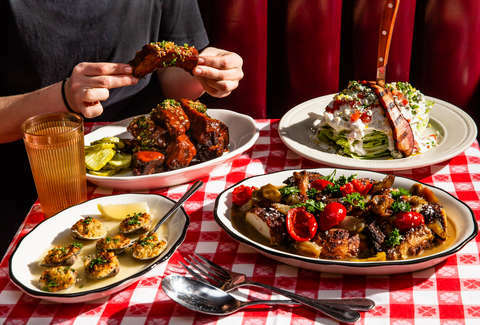 Bernie’s is a table-service reprise of Greenpoint’s lauded Jewish delicatessen, Frankel’s -- and it will be equally pleasing to your bubbe. Checked table cloths, crimson leather banquettes, the ambiance, and the food all hark back to casual old New York dining in equal measure. 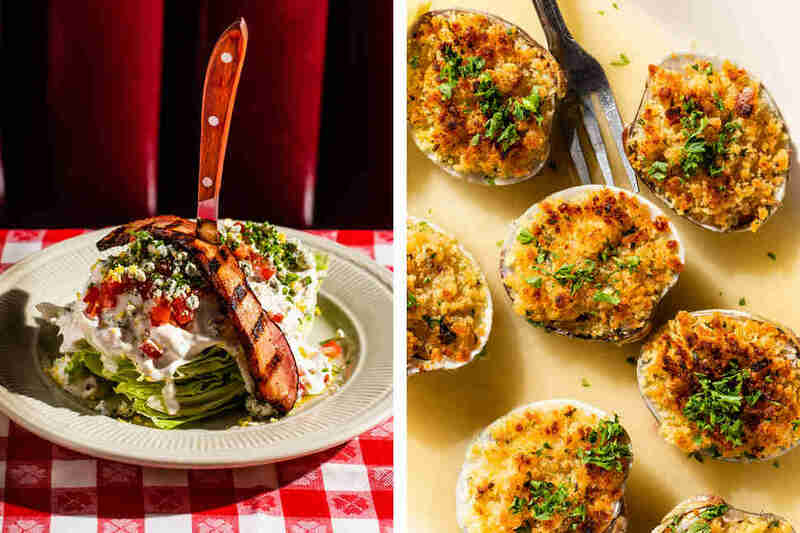 Greenpoint art kid transplants and Polish locals enjoy wedge salads topped with thick cut slices of bacon, vinegar chicken, and lemon ice box pie, side by side. Chef Nasim Alikhani’s new Persian spot -- her first such endeavor at the age of 59 -- was named one of the country’s best new openings of 2018. The remarkable house bread is built to sop up tomato-saffron broth, and a yogurt dip studded with Persian shallots and chives. A spinach and prune stew, thick with braised beef, is poised to bolster stew’s culinary reputation. The craft cocktails, too, pay homage to classic Persian flavor. 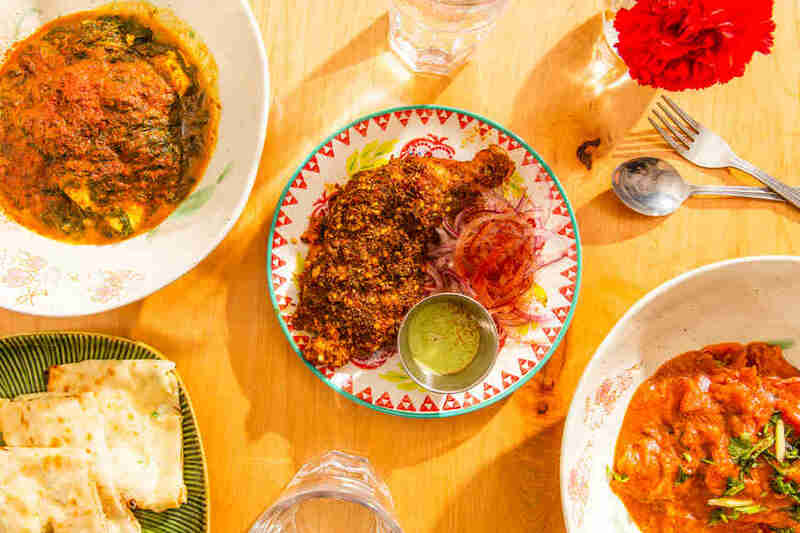 The “unapologetically authentic Indian food” on the menu at Roni Mazumdar’s Queens restaurant means you have zero license to tell your waiter that the aloo is too spicy. 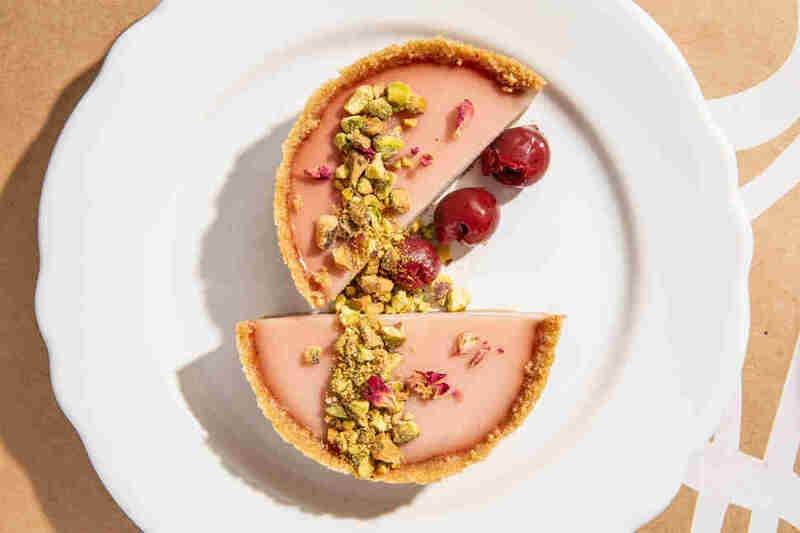 Adda’s casual atmosphere and accessible prices draw hungry students from the nearby CUNY campus, and the spot earns clout for its unwillingness to reinvent the wheel. You will not find the “contemporary riffs” on the classics, here -- you will find plates of paneer khurchan, butter chicken, and junglee maas, made well and true to their origins. Eliza Dumais is a former staff writer at Thrillist. She now works as a lifestyle editor at Refinery29.